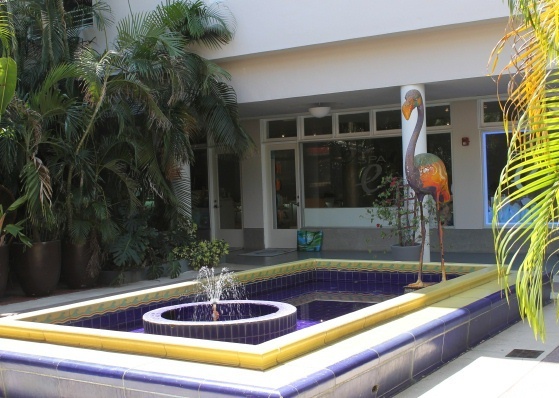 Description: This small fountain and reflective pool are in the courtyard of a commercial center that opens into the Lincoln Road Mall. The pool features hand-painted tiles. 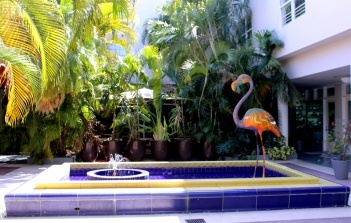 The flamingo scupture was part of a "Flamingos on the Beach" project sponsored by Maimi Beach in 2001.